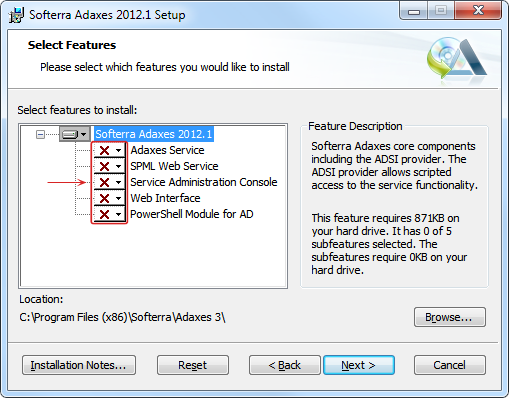 This document contains requirements and instructions on how to install Softerra Adaxes 2015.
on Windows 7/8: C:\Users\All Users\Softerra\Adaxes 3\. Locate the AdaxesCommandQueueBackup folder that holds information on pending Approval Requests. Note: If you can't find the folder, probably, you are using an old version of Adaxes. Earlier versions used the AdaxesCommandQueueBackup.ldif file to store Approval Requests. Copy the folder/file to a similar location on the computer to which you are transferring Adaxes service.